Norway’s ? rst battery powered ferry, the Ampere, marks a year of crossings. 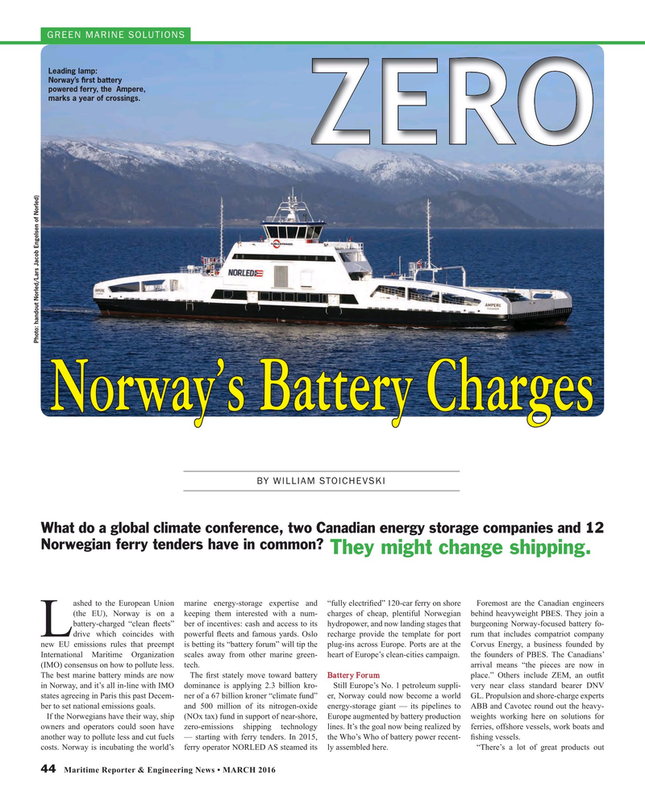 Norwegian ferry tenders have in common?